Dynamic Expressions offers classes in ballet, tap, jazz, lyrical and contemporary. Jazz/Hip hop and Jazz/Lyrical can be found in combination classes. Please note that if the class has two styles of dance in the title, these students will be learning two separate routines but it is their choice to decide if they want to participate in either or both in the recital (with the exception of Ballet/Tap combo). 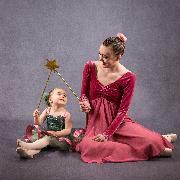 We are also pleased to announce that we will be continuing to offer the wonderful Princess classes for our youngest dancers. Please note that our program is set up into 2 semesters, fall (learning the basics, combinations, etc.) and winter (building and working on our recital piece). All classes are recital classes (except Princess classes and gym/dance) but this does not mean your child has to participate in the recital. We do not force any child into anything they are not comfortable with. If your child decides not to do the recital, they may still participate in both the fall and winter sessions.